The seed business is a very time-sensitive operation, allowing little time between harvest, processing and treatment. Hence, we provide flexibility to our customers in planning and procurement processes. Our supply chain is set up for in-season response to customer demands. We also provide agronomic know-how and product marketing support to create demand for the brands and their value towards growers. It is one thing to know that seed treatment protects the seed and young seedling from damage caused by soil-borne diseases, insects and nematodes. It is quite another to actually see it in action. Watching roots grow underground, using visualization tools like Rhizotrone Technology, is just one of the methods we use to do this. We regularly use these tools and augmented reality at global events such as the annual International Seed Federation (ISF) World Seed Congress to help customers see what the naked eye never can. Observing how seed-applied technologies like crop protection compounds, biologicals and biostimulants protect the roots and promote plant development at trade shows has helped our customers understand for themselves how they really work. We also use root scanning technology, thermogradient table videos, time-lapse videos and the latest tool of them all – 3D/360° visualization – to help visualize the otherwise invisible effects of seed treatment. These tools, which are mostly used to help us generate technical data, are a powerful way of bringing seed treatment to life. At Syngenta Seedcare, we are experts in Rhizotrone and Root Scanning technologies. So we are able to observe and learn about the interactions between the chemical and physical properties of soil and the rhizosphere, as a place where beneficial and pathogenic organisms interact with plant roots. We regularly share these insights with customers and can, under controlled conditions, analyse different elements alone or in combination (such as combining drought stress with soil mechanical stress by compaction) to provide powerful actionable insights to customers. A full range of specialist Syngenta Seedcare products and services – including a mobile soybean treater – will be available to Russian growers for the first time in 2018 with the launch of The Seedcare Institute. Construction of the 1,470 square metre building in Ramon, Voronezh district, began in May 2017. Many Syngenta Seedcare services new to the Russian market will be made available from 2018. Critical to demand creation will be a Seedcare trailer. This powerful asset is driven to key regions across Russia during Seedcare campaigns to showcase the value of our combined Syngenta Seedcare P.A.S. (Products, Application, Services) offer. It also comes into play at Syngenta field days, trade events and conferences, as well as at seed multiplier and seed company field days. The Syngenta Seedcare trailer has been a huge success because it can demonstrate the value of our offers directly at major customer events. Two new ‘Piccolo’ Mobile Treaters for soybean are also joining our seed treatment operations in Ramon. These will treat seeds directly in the field, ensuring the right application technology is used with the right products (a combination of seed-applied fungicides and inoculants). Our customer base – large growers and agroholdings – has been inspired by this new service and we are confident it will deliver continued success in Russia. Within the new Seedcare Institute Laboratory will be analytical equipment to conduct quality control tests on treated seeds. Quality seed treatment is crucial for ensuring high yields as it maximizes the protection of early seedlings against diseases and pests. The opening of our new Institute is evidence of Syngenta Seedcare’s serious intentions to develop Russia's agricultural sector jointly with growers and the scientific community. It will be the first Institute of its kind in the country and it aims to increase agricultural production volumes in the region and enable growers to reach new efficiency levels. So the grand opening in 2018 is eagerly anticipated. 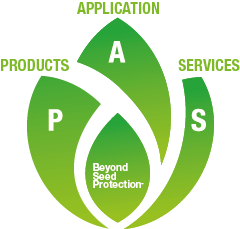 Certain standards must be followed to ensure seed treatment products are applied safely and properly. This was hard for Syngenta Seedcare to guarantee when it was beyond our full control. But Syngenta Seedcare’s Certificate of Excellence in Seed Treatment changed that in 2015. 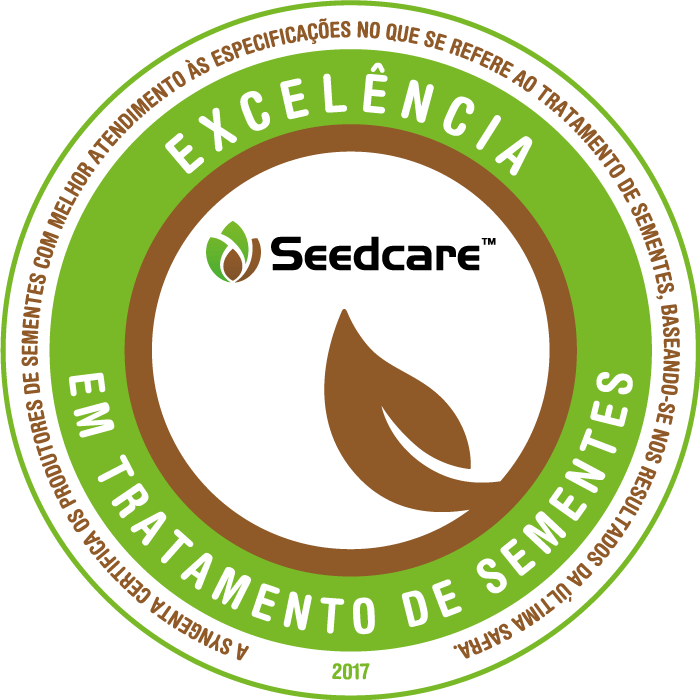 Created by Syngenta Seedcare Brazil, it is a reward system that certifies seed multipliers that adhere to the high quality and safe seed treatment standards of Syngenta. The seed treatment process is complex. Performed to a sub-standard level it can result in poor seed performance and pose safety risks to those involved in the process. This is why Syngenta conducted discussions with The European Seed Association that led to The European Seed Treatment Assurance (ESTA) system in 2011 – a Quality Assurance for treated seeds. In a similar vein to our work on ESTA, in Brazil we incentivise seed multipliers to meet six key criteria that ensure safe and high quality seed treatment. We then provide those who do with a stamp that can be used in marketing and sales. Our first three multipliers were certified in Brazil in 2015. The following year, they were joined by another. Now seen as a reference for safety and quality, a growing number of seed multipliers are working towards our exacting standards to achieve certification. We are proud to say that our initiative has also promoted a safe work environment across tens of multipliers in Brazil. The stamp doesn’t only stand for safety but also quality. And the higher the quality of the treatment process, the higher the quality of the treated seed; which only improves the reputation of the multiplier and Syngenta Seedcare. Multipliers are now using Syngenta’s Certificate in Excellence in Seed Treatment to promote sales during field tours with growers and during important events. The potential of the Certificate in Excellence is therefore enormous. So we are looking forward to launching it in other countries around the world soon.